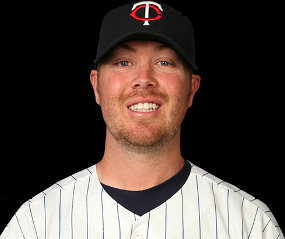 You can hardly be blamed if you can’t keep up with the revolving door that has been the Twins bullpen in 2011. We’ve already seen several under qualified candidates come up to the big leagues, take their lumps and get back on a flight to Triple A Rochester. Some have even completed the process more than once. So far however, Phil Dumatrait (pronounced Doo-ma-tray) looks poised to avoid that fate. Since his arrival on May 15, the 29-year-old lefthander has fared well, allowing just 1 run on 1 hit in 5 innings over 7 appearances. A 1st round pick by Boston back in 2000, Dumatrait has pitched for five organizations over the past decade, logging 190 minor league appearances and 49 in the big leagues mixed in with a stint in Korea last year. I caught up with the journeyman southpaw during the Seattle series last week. DZ: Well, you’ve been here with the Twins for a little over a week, how’s it been going for you so far? DUMATRAIT: Good. The team’s been struggling though and hopefully we can turn it around. Other than that, my arm is feeling pretty good. DZ: Last year you pitched in Korea for a team called the LG Twins - kinda interesting - what was that experience like? DUMATRAIT: It was a lot different. There were two foreign guys per team and the other guy was from Japan, so I was pretty much by myself. I had my translator and what not, but it was definitely different. DZ: Did you feel isolated? DUMATRAIT: A little, but there was a guy over there (pitcher Jung) Bong and I played with him here in the States and he knows English, so that made it a little more comfortable. DZ: What was the quality of play like over there? DUMATRAIT: There are a lot of guys, I guess I could compare it to how Nishi (Tsuyoshi Nishioka) hits - take the ball the other way, let it get deep and what not. Actually in Korea, they are getting better. They played with Japan and I know they beat them. I know that talent wise, it’s getting closer between those two, so they’ve got some guys who can play. DZ: Going back to the offseason, you were a free agent, what attracted you to the Twins? DUMATRAIT: I was at the house and my agent called me and said the Twins were interested and I thought it’d be a good opportunity to come over here and - not being on the (40-man) roster - they’ve shown in the past that if you are at Triple A, they’ll call up guys if they are doing well. So, I am fortunate enough to be here. DUMATRAIT: No, not at all. In ‘04 I had Tommy John surgery, then you realize how quickly this game can be taken away from you, so I really worked hard rehabbing and what not and come back. There was no point where I wanted to give up or do something else. I’ve wanted to do this since I was 5-years-old and I’m living every little boy’s dream and it’s been great. DZ: Cool. One last thing, when you get called up and you’re a reliever and get opportunities, is it hard not to press too much because if you don’t do well you might not have another chance or your chances might be limited anyway? DUMATRAIT: You know, I’ve pitched out the bullpen in Pittsburgh and I just try to stay within myself. I just try to go out there and throw strikes and get outs. I try not to press and not do stuff that I am not capable of doing and stay within myself. This entry was posted on Tuesday, May 31st, 2011 at 5:12 pm	and is filed under MLB, Twins. You can follow any responses to this entry through the RSS 2.0 feed. You can leave a response, or trackback from your own site.